The long-awaited second album from The Grapes. The long-awaited second album from The Grapes. Signed by Ashley Naylor and Sherry Rich. 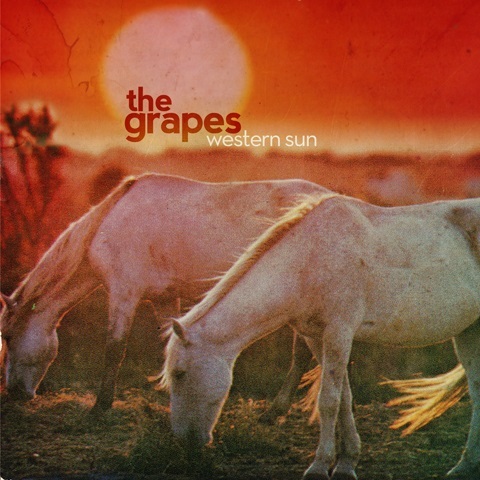 Western Sun is the Grapes’ first album since their classic, self-tilted debut of 1999. That’s several lifetimes for musicians as prolific as Ashley Naylor and Sherry Rich. Apart, they’ve made a ton of records and raised four kids. Reunited, they’ve found their psychedelic-country chemistry has grown richer, darker and infinitely deeper – Michael Dwyer. All songs written by: Ashley Naylor and Sherry Rich. Engineered, mixed, and co-produced by James Bellew at Three Monks Studio, apart from the instrumental Western Sun mixed by Cal Orr at Island Sound. Mastered by Joseph Carra at Crystal Mastering.